Morillo was out getting pizza with a friend, something she did regularly. As Morillo’s prepared for bed her throat began to swell up. Not having any severe allergies prior to this incident, she did not have an EpiPen. After realizing what was happening Morillo called a friend to take her to the emergency room. “I left the doctor’s still scared for my life because I didn’t know if I was going to go to bed and not wake up in the morning,” said Morillo. After that night, Morillo decided to cut out wheat, yeast and flour from her diet. She has been following a gluten-free diet since January 2017. Gluten-free diets are a growing trend. An estimated 2.7 million people without Celiac Disease follow a gluten-free diet, a number that has increased since 2010, according to according to an article published online by JAMA Internal Medicine. The question is what exactly is gluten and why are people avoiding it? Gluten is the name for the proteins found in wheat that helps foods keep their shape, acting as a glue that holds food together, according to the Celiac Disease Foundation website. Julie Lee, a Nutrition and Dietetics professor at Western Kentucky University, explains why some people choose to eliminate gluten from their diet. Coinciding with the gluten-free diet’s growing popularity is the rise of stores selling gluten-free products. 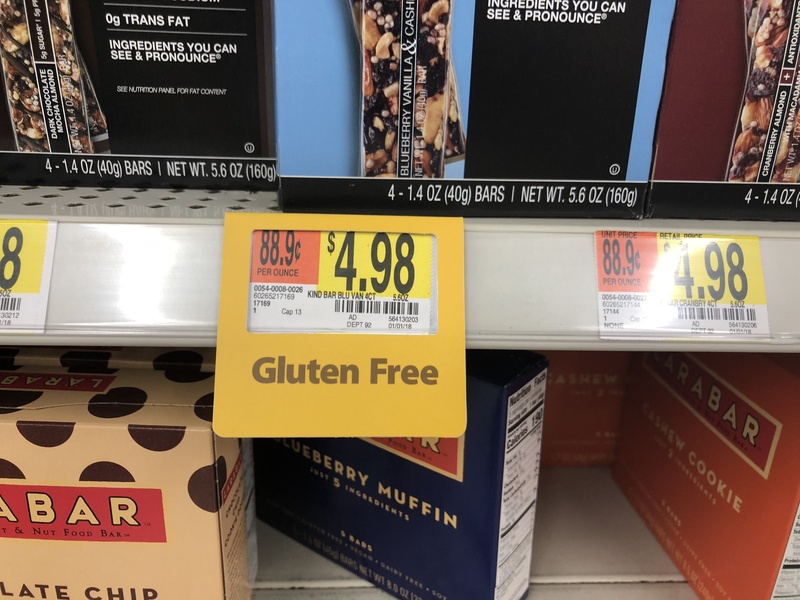 According to Statistica, at conventional stores in 2015 gluten-free sales amounted to about $2.79 billion. By 2020, the gluten-free market is predicted to be worth $7.59 billion. Gluten-free bagels, oatmeal and pizza are now available at traditional grocery stores such as Kroger. Rice Chex™ Cereal was the first mainstream brand to offer gluten-free cereal according to the Celiac Disease Foundation. Cheerios and Lucky Charms shortly followed, offering gluten-free versions of their products. Only 1 percent of the population has celiac disease, effecting 1 in 100 people worldwide, according to the Celiac Disease Foundation website. People with celiac disease have an immune response to gluten that attacks the small intestine. The attacks damage the villi, small fingerlike projections that line the small intestine, that absorb nutrients. When damaged, nutrients cannot be absorbed properly into the body, according to the Celiac Disease Foundation website. Summer Cooper, a Registered Dietitian at WKU, explains what happens when someone with celiac eats gluten. Cooper said some symptoms of celiac disease include bloating, constipation or diarrhea. Heather Gosebrink, a freshman at WKU was diagnosed with celiac disease August 2017. She describes her symptoms after she eats gluten. “I used to get these eye migraines, I would lose some of my vision with them,” said Gosebrink. Since Gosebrink has been eating gluten-free she hasn’t had a migraine in eight months. Others cut out gluten because of sensitivity to it. Mirillo has been diagnosed with gluten intolerance, better described as non-celiac gluten sensitivity. According to the Beyond Celiac website, non-celiac gluten sensitivity is a term used to describe people who cannot tolerate gluten but lack the antibodies and damage to the intestines as seen in individuals with celiac. Some people choose to eliminate gluten from their diet in hopes to live a healthier life. Amanda Harder, 18, a pre-med student at WKU, first gave up gluten after her trainer suggested she try going paleo. Harder maintained a somewhat paleo diet for a year until she started implementing gluten back into her diet. No longer being gluten-free, Harder gained more weight back then she had initially lost. “My body started reacting weird (to gluten) I guess because I had gone so long without it,” said Harder. Harder said even though she has not been diagnosed with a gluten allergy, whenever she eats gluten she feels lethargic. “I am no longer doing it to lose weight; I am doing it to feel better,” Harder said. People who adhere to a gluten-free diet face challenges. Morillo says it is hard to find places on WKU’s campus to eat. On a normal day on campus, she goes to The Fresh Food Company. There Morillo usually eats a salad and whatever meat is being served that day. “It is not really ideal; I would much rather be eating more,” said Morillo. Gosebrink’s celiac was severe enough that she was able to move off campus and does not currently have a meal plan. The WKU dietitians have created an entire gluten guide on their website that breaks down the gluten-free options available at restaurants on campus. With reality stars like Kourtney Kardashian publicizing being gluten-free on social media. Some people find it hard to be taken seriously when they explain why they don’t eat gluten. “I kinda feel stupid half the time because it has become such a fad diet,” said Gosebrink after being asked what she tells people when they ask why she is not eating gluten. Medical professionals stress consulting with a doctor before eliminating gluten from your diet.